GreenRope Lands In A Top Spot For The Third Year In A Row On The G2Crowd Grid Report. GreenRope receives tons of reviews from highly satisfied customers to help the company land top spots on G2Crowd Grid Report. Connect the apps you use every day and never let your data get out of date. GreenRope and PieSync have partnered up to bring users seamless two-way data sync between your favorite business apps. Improve your own skills and master the art and science of integrates sales, marketing and customer service. 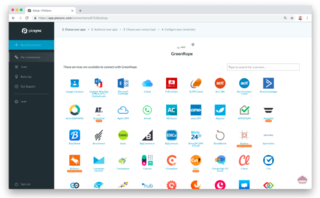 GreenRope's new multi-tab capabilities let users work in the system in multiple tabs no matter what browser you're using.